The temperatures are already heating up in the mid-Atlantic and it’s not even officially summer. With a few 90+ degree days under our belt already, it feels more like August in Maryland, Virginia, and Washington DC. To keep our cool, most homeowners run their air conditioners when the temperatures climb. The hotter it is outside, the harder your AC system works to maintain the cooler indoor temperature. To reduce the wear and tear on your HVAC system, there’s one simple routine task you need to stay on top of this summer: changing your air conditioning filter. Mark Zeller, HVAC Journeyman and Building Engineer/HVAC Lead Tech at a large children’s hospital in downtown Baltimore, says, “Changing your filter once a month – do it every time you pay your utility bill – is one of the simplest and most important preventative maintenance practices you can do for your HVAC system. It will prolong the life span of the furnace, as well as help with the efficiency of the unit which will help lower your cooling bills.” In fact, the U.S. Department of Energy says you can reduce your air conditioner’s energy consumption by as much as 15% by replacing a dirty, clogged filter with a clean one. Depending on the type of system you have, the filters may either be reusable or a one-time use filter. During the summer, you should inspect the filter monthly and change it at least every two months. You may need to replace it more frequently if you have pets since shedded fur can clog the filter. 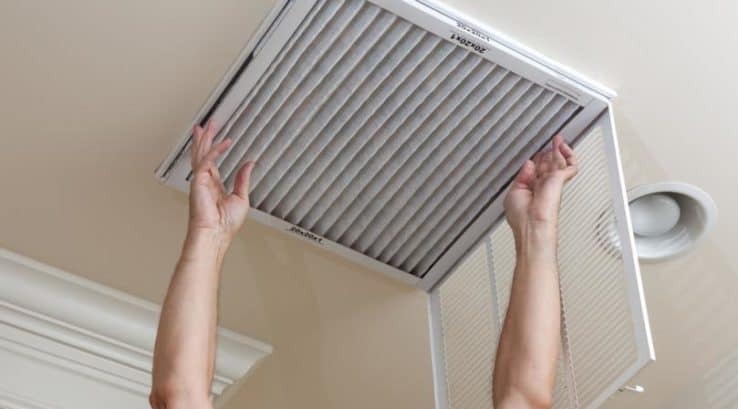 Besides improving the energy efficiency of your air conditioner and saving you money on cooling bills, there are other benefits to maintaining a clean air filter. When filters are dirty, your AC system has to work harder to do its job. This can shorten the life of your air conditioner, resulting in costly repairs or full replacement sooner. Dirty filters reduce the air quality in your home. As allergens pass through the dirty filter, they are dispersed through your home via your ductwork. If anyone in your home has asthma or allergies, poor air quality will aggravate their condition. So no more excuses! Check the size of your air filter, go to your local home improvement store and buy enough filters for the summer season. Put a reminder on your calendar to check the filter every month and replace it when dirty. This one simple and inexpensive maintenance task will save you money on your cooling bills this summer.